In case you were unaware, LGBT people–gay men in particular–are being persecuted in Chechnya. Reliable reports say they’re being detained, tortured, and murdered. You can read a summary here. In response, a group of writers, readers, artists, and publishers are raising money for organizations that are seeking to evacuate potential victims out of Chechnya. Some authors are donating a portion of their royalties and some are taking part in an online auction May 5-13. All proceeds from the auction will go toward these organizations. 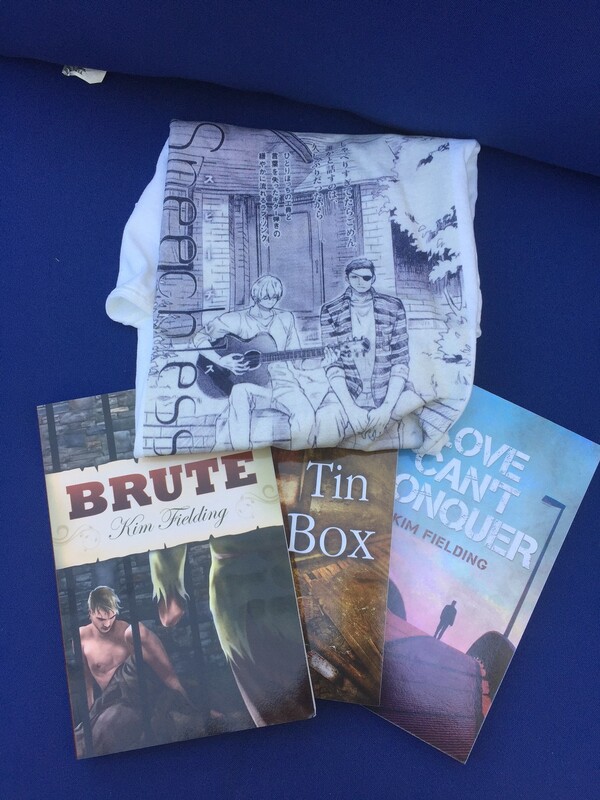 My contribution to the auction is below: signed paperbacks of three of my books, plus a T-shirt with art from the Japanese edition of “Speechless.” Unfortunately, I can only ship to US addresses, but other donors will ship elsewhere. Here’s information on how you can bid and get involved in other ways.